Beer Lovers Mondays, enjoy exclusive specials and discounts on select beers every Monday. Let us take the stress off your plate when planning your next gathering. Have Hereford House cater your next event at the location of your choosing. Our off-site catering can provide anything from a salad & baked potato bar to a multi-course wedding dinner. Select from our extensive catering menu or have our chef create a customized menu for your event. Special dietary requests are no problem. Hereford House, Kansas City's favorite Steakhouse, has been a local staple since 1957. The Hereford House provides incredible food at reasonable prices in a casual atmosphere. 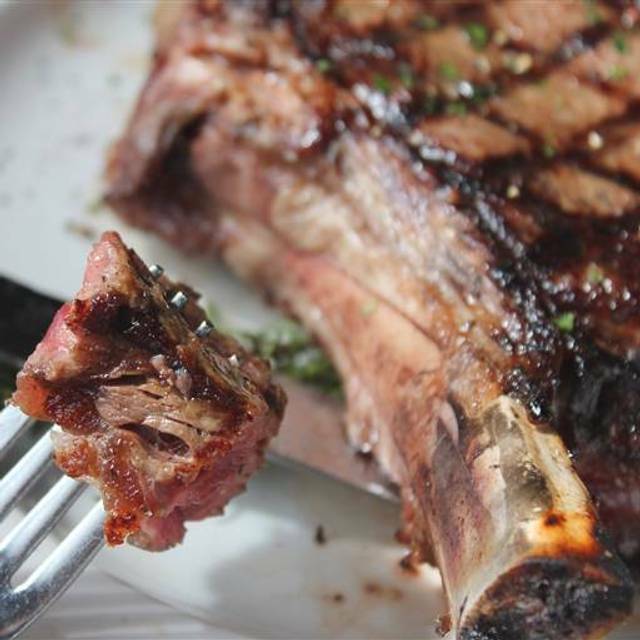 the steak that made kansas city - and hereford house - famous! If you want a great steak in Kansas City, this is the place to come! The KC Strip was prepared to order and came out in a timely fashion. Went for Easter Buffet. Our reservation near the end of the buffet timeline. They were no longer refilling items so it was very picked some items like the bacon was cold, the Mac and cheese was scorching in its serving pan and tasted burnt. It just didn’t appeal. I would rather they said the buffet was over than sell it to us. I’ve enjoyed this restaurant several times before but this time I was disappointed. I will visit again but not for a buffet. We had reservations for the Easter buffet. We were greeted and seated promptly. Food selection was great but the sausage and bacon could have been cooked more. Server was courteous, attentive, prompt, and engaging. Manager checked on everyone, which was nice and unexpected. I thought the price was too high at $30 each, and $20 would be more appropriate since they charge extra for the drinks, but would definitely so this again. We have a meetings in a private room many times a year. The staff is always helpful while allowing us to meet quietly. The food and the atmosphere are both good. The service was somewhat poor this time around and it was pretty loud. Overall, the experience was good. We had appetizers, drinks and dessert. Perfect date night. The service was great. The noise level was low. We were able to sit and relax and talk without feeling pressured to hurry, eat and leave. We will definitely return! My meal was great except the green beans were awful--maybe old? maybe not cooked enough? I didn't even eat them and I love vegetables. Our wines were fine---The Bread Pudding flambey was exceptional as usual. Also, it is nice to eat somewhere that is reasonably quiet. By far worst food i have had in a very long time. I never leave negative reviews but felt it very necessary this time so no one else wasted their money. Under seasoned & bland. The mashed potatoes were the consistency of rubber. Way to overpriced for what you get. I would not recommend this place to anyone. The only thing positive about this place was our server. Fantastic experience, great environment and service for a business dinner or special occasion. Food was excellent and our server, Rosemary, was superb! Food, server and ambiance was above expectations. I thought the service could have been a little speedier, however our server was waiting several tables with all seats filled. She was very pleasant and professional and well trained. We had a semi private room for my wife’s birthday dinner. We had our son, daughter in law and 3 year old grandson with us. The wait staff was very attentive to us and the child. The manager checked in with us twice to see if everything was as we expected. The appetizers, main course and dessert were exceptional. Jarod was an outstanding server, he was able to provide recommendations for the menu and was attentive. Food was wonderful and we really enjoyed it. We will return again. Excellent staff and food! We go there every time we are in the area. It took over an hour for our entrees to be served. Then our friend’s prime rib was medium-rare instead of medium-well as ordered. The waitress said she always reads back the order. But, she didn’t with us. Saying I’m sorry would have been a better response. 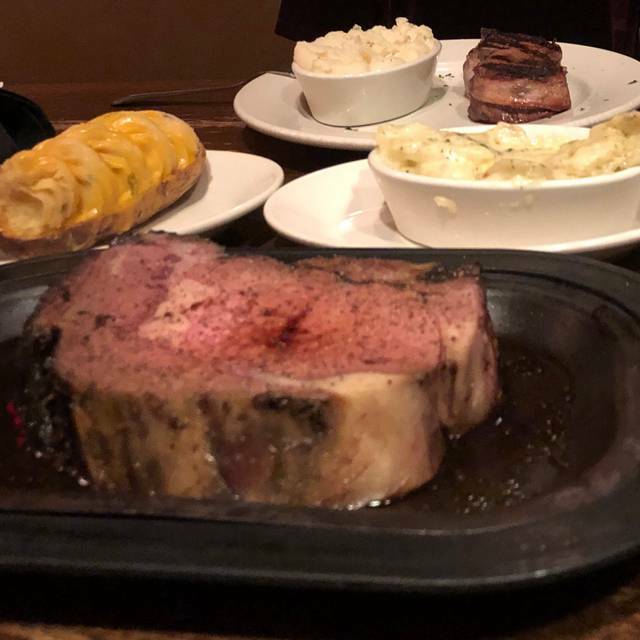 The manager brought our friend’s prime rib back out but didn’t apologize either. He just explained that the meal for 2 which we ordered is timed. It has never taken that long when we’ve ordered it before. It would have been nice for the manager to offer at least a free dessert or better yet to have comped his meal since it took 1.5 hours before he was able to eat. Took 30min to get waited on. Finally Mgr came to take care of us. The steak was charred on the top! We had to sit right next to a table of middle schoolers on a date night. It took at least 10 minutes to get our drink order. Won’t be going back. Absolutely the best steak I’ve eaten! It was our first time at Hereford House and we were VERY impressed! Our server,Jake, was fantastic! We will definitely be returning! We were celebrating our sons birthday. We had a wonderful evening. Our server Jamie was outstanding! Our server Michael was great with great suggestions!! Awesome food! Good food, good portions and good menu. Open Table reservations are seated in the bar area. I actually like sitting there so it was good fine with me but a little frustrating that there is not an option to sit on n main dining room because used Open Table to reserve a table. I hadn't eaten at HH in years as I typically frequent the city or cook a good steak at home. I'd also had one of the worst steaks up at the North location about 10 years ago...with that said, I had, literally the best cut/cooked rare to perfection filet, I've had in years!!! Would go back every week if I could! Hereford House has always been my favorite. However, I wish you would put escargot on the menu. went for lunch and the Chicken Pot Pie was chicken stew with a big pastry biscuit on top. Not exactly what we expected, average at best. Chopped Sirloin was good portion size and $2 house salad is a good add on. While known for steak, there are other excellent menu options - the chicken is fantastic with right amount of sauce, fish is excellent as well--nice portion and cooked perfect all with great service. Great resource for western Johnson county and recommend to all. We requested a booth at time of reservation, 1-day earlier in honor of my wife's birthday. Only had booth in bar area, so we opted for table in dining room, with no wait. We were seated at a table and immediately noticed a half-booth type seating available, but as we asked to move there, another couple beat us to it. After waiting about 10-minutes, our server took our drink orders. After about another 10 minutes he brought us water and informed they were out of my wine choice. We placed our food orders and I ordered a different wine and waited another 10-minutes and here comes our salads on a cart with our long awaited drink order. The salads were satisfactory, but with dressing on the side, not quite enough. The braised beef short ribs, mash potatoes and green beans were excellent, as was my wife's 6 oz filet and loaded bake potato. For dessert we enjoyed the bread pudding, served flambe. The food was the star here, not the seating, service or ambiance. Tab was over $100, so for that kind of money, we will dine elsewhere next time. The food was delicious and our waiter was phenomenal. Always good, and they have a great happy hour menu. The table beside us had a young child; they were entertaining him with video that was turned up loud. Excellent Meal!!! The dinner for 2 is a great deal and you won't leave hungry. Overall we enjoyed our dinner at Hereford House. We picked from the Valentines Day special menu and both enjoyed our entrees very much. We had the special Bread Pudding dessert which was fine but was served swimming in a sugary sauce. It would have been just fine with a little drizzle of the syrup instead. Our server, a nice young lady, was pleasant enough but didn't seem to know the menu well and was not very attentive to our table. She never cleared our plates and brought fresh drinks but left the empty glasses on the table. I expect more from the Hereford House. Best date place in Kansas City! Great food , great service, and Carrot Cake, need I say more. Special thanks to Mark, you made the experience great! We went on Valentine’s Day and had a reservation. We were sat within a few minutes of arrival. I heard them tell a walk in client that the wait was about 1.5 hours, so I’m glad they respected the reservation. The service was very good even though they were extremely busy. The appetizer was hot and fresh, the salads were fresh and cold, and the steaks were done perfectly and the sides were great. The carrot cake was phenomenal. Overall a very good value for a special occasion.